There’s nothing mediocre about this middle distance race. The Spartan Super offers the ideal blend of distance and speed. Offering racers a true athletic test. If you consider yourself a more seasoned athlete determined to push beyond excuses, you just might have the mettle for a Spartan Super. 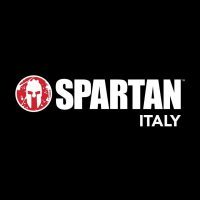 Serving up 25+ Spartan obstacles and 8+ miles of rugged terrain, the Spartan Super spares no one. Developed as the second race in the Spartan Trifecta, the Super is where you prove to yourself you’ve got everything it takes to face the Beast.